We have The Apprentice to thank or blame for the arrival of Katie Hopkins to our screens. The ever moaning TV star isn’t really known for anything but she likes to give her opinion on just about everything. 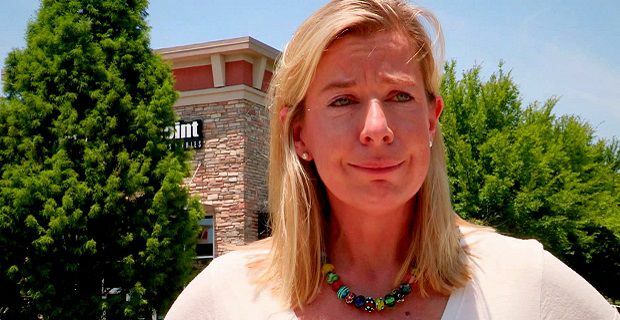 Hopkins had to take unpaid leave from her role with the Met Office when she joined Alan Sugar’s show in 2007 but in the intervening years she’s added a few noughts to the Katie Hopkins net worth amount with frequent forays onto television. The loud-mouthed star calls herself “a conduit for the truth” but she courts controversy because it gets her attention and it gets her record setting deals like the one she pocketed for Celebrity Big Brother 2015. The reported £400,000 appearance fee is way higher than anyone else has ever achieved and the celebrity show has surely featured many higher and more recognisable stars than Hopkins. When she not upsetting stars like Danny Dyer and Katie Price, Hopkins spends her time writing for The Sun. She has a regular weekly column in which she tells the world her opinion on things. As you’d expect it’s controversial but tame stuff that tries to provoke argument but never really puts her position with the paper in jeopardy. We’re not sure what she earns from this work but it appears to be her only regular source of income as the reality TV stuff is sporadic. Little is known about the property she shares with husband Mark Cross but it obviously helps underline her net worth. Her family home in Exeter has a panic button installed in case intruders get in. That’s not a cheap security measure so it’s got to be the sort of place that’s worth the added expense. We’re not sure what it’s worth but she’s been pretty vocal about her partner’s old property which was worth £1 million so we can’t imagine that Hopkins has traded down.